MTC is available to provide one-on-one or group in-service training and consultations for staff and/or parents and caregivers on a wide variety of developmental topics. Please explore our Educational Opportunities tab or contact an MTC representative to review our continuing education menu and to customize your educational needs. 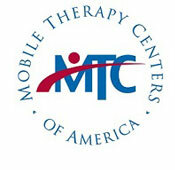 You can also visit the MTC Facebook page for current listing of workshop events and topics.